17 Do personal loans affect your credit score? A personal loan can be used for any number of things in life, from building an addition on your house to consolidating your debt. When you have good credit, doors open even more widely compared to those with bad credit. You’ll have access to unsecured loans, meaning you don’t have to put up any type of collateral in order to qualify for funds. You’ll also get offered the best interest rates so you’ll have a lower payment each month. Another perk? You could qualify for the highest loan amounts. After all, just because a lender offers a particular loan maximum doesn’t mean every borrower gets that deal. So what is the definition of good credit? You’ll need to have a credit score between 690 and 720. Anything above 720 is considered excellent credit. If that sounds like you, then you could qualify for the absolute lowest interest rates available. Finding the best loan terms is easier than ever with a plethora of online lenders competing for your business. Selecting an online lender is convenient, too; in fact, most provide a funding decision the same day you apply and your money could be available in as little as one or two business days. To get you started, we’ve pulled together the five best personal loans for good credit, along with how the loan process typically works from start to finish. Lenders can vary greatly in the type of personal loans they offer and the type of borrower they want to lend to. We’ve pulled together our top five personal loans for individuals with good credit. Each one has a slightly different approach to lending, so you’ll see a bit of each company’s personality along with their loan rates and borrower requirements. There’s a little something for everyone, so don’t forget to compare offers to see which one fits you best. ​​Credible is an online personal loans marketplace that provides simple, transparent, real offers from up to 8 different lenders. 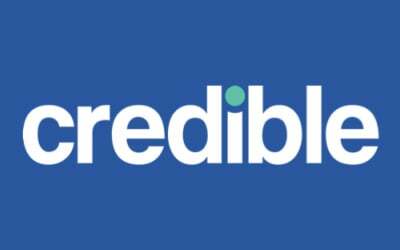 Credible gets qualified users in front of real offers in less than 2 minutes without impacting their credit score by way of a soft credit inquiry (only hard credit inquiries will affect your credit score). Furthermore, thanks to their matching technology, users information is not shared with lenders for marketing purposes when evaluating offers. This means you can shop for a personal loan without fear of multiple lenders following up with annoying calls and emails! Credible is an ideal solution when you’re looking to find the best rate among the top lenders in the industry. 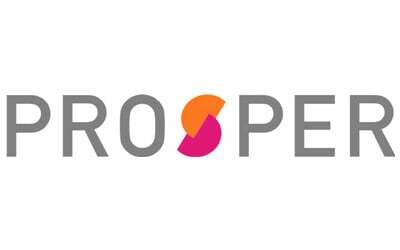 Prosper is a top choice for borrowers with good credit, especially if you’re interested in peer to peer loans. Loan funds can be used for a variety of purposes, such as debt consolidation, home renovations, or major life events like a wedding or adoption. Funding may be dependent upon investors committing to your loan, but you’re guaranteed total funding as long as you reach 70% of your goal. Before you commit, feel free to compare your loan terms to make sure they’re suitable. You can do this without an impact on your credit score in the early stages of applying. If you have above average credit and a debt to income ratio under 50%, you could very well qualify for a Prosper personal loan. For a more holistic loan application approach, consider Upstart. 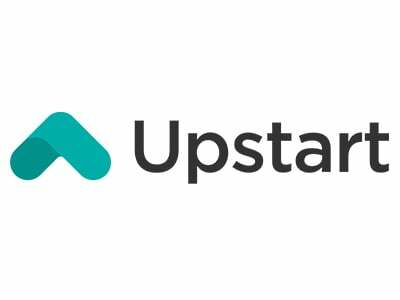 Rather than focusing almost entirely on your credit score and income, Upstart also takes into account a number of other factors, like your education, area of study, and job history. These factors often make up for a short credit history, making it a great pick for younger borrowers. If you’re using the loan in place of credit cards, you’ll be happy to know that Upstart borrowers report an average of 25% savings on their APR compared to their credit cards. Founded by a team of former Google employees, it’s no surprise that Upstart views technology as extremely important. Appropriately, then, you can use an Upstart loan to pay for your tuition at a partnering bootcamp for coding. It’s an easy way to get some new career training without having to shell out for an entire degree program. Ready to finally get rid of that high-interest credit card debt? 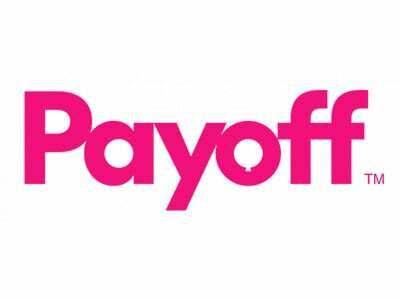 Take a look at Payoff, an online lender designed specifically to help you save money over time with a debt consolidation loan. In the process, you might just raise your credit score by a cool 40 points, if you’re like the majority of Payoff’s other borrowers. You can also keep an eye on your credit with a free monthly FICO score, just for being a borrower. With a fair credit score and a solid payment history over the last year, you could very well meet Payoff’s application criteria. Plus, you can take advantage of their stellar customer service team both during and after the application process. Should you lose your job during your loan term, they’re happy to help with job loss support to keep your loan on track. 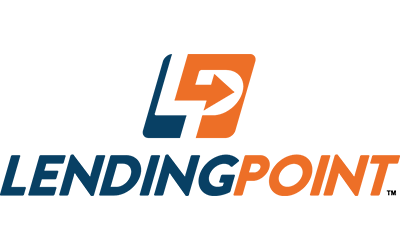 LendingPoint boasts that it is a lender for “fair” credit borrowers. Specifically, this refers to borrowers in the 600 to 680 FICO score range. Like many online lenders today, LendingPoint factors in a number of criteria during the loan application process. You must be at your current job for at least 12 months with the ability to verify your income. On top of that, you should have a reliable track record for both your banking and credit behavior. The online application is quick and easy, especially if you pull together a few necessary documents: proof of employment and income (think paystubs), recent bank statements, a voided check, and your ID. Once you’ve received your loan funds, you can make bi-weekly payments to help stay on top of your budget. For “near prime” borrowers, LendingPoint offers competitive terms and an easy to use customer interface. Best Egg offers competitive interest rates, but you’ll need more than a good credit score to get them. You’ll actually need to have a relatively high annual income, needing to earn at least $100,000 to qualify for the best of rates. While you can qualify with a lower credit score, you’ll need at least a 700 FICO score to earn those lowest rates. The application is risk-free and only entails a soft pull of your credit report until you’re ready to commit to a loan. So what can you do with your Best Egg funds? The most popular option is to consolidate debt, whether it’s multiple expensive credit cards, or a single high-interest loan (or a combination of both!). 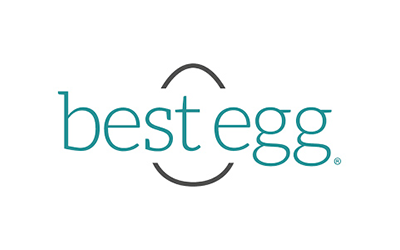 But don’t mistake Best Egg as a debt consolidation company. This direct lender provides personal loans for a multitude of purposes, including household expenses, relocating, and vacations. 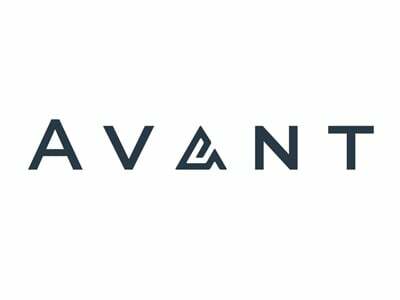 In addition to being one of our top picks for online loans for good credit, Avant is also on our list of best overall loans. The lower end of credit scores falls around 600 so you actually don’t need pristine credit to qualify. It’s also a great choice if you want a loan to consolidate several high-interest credit cards; in fact, about half of all Avant loans are used for debt consolidation. There’s a reason why: Avant offers a variety of tools to help you manage your finances. For instance, it provides you with your VantageScore each month so you can actively work on your credit repair. Those who go with Avant usually see an average 12 point increase over the first six months of taking out a loan. Starting off as a student loan company, SoFi now offers personal loans and even mortgages. It is a unique online lender that uses its own underwriting process to offer good credit borrowers competitive rates on both fixed and variable rate loans. Instead of focusing strictly on your credit score, SoFi also looks at your education, current career, income, expenses, and your financial history. A long credit history is stressed less than having a high-income potential in a growing job market sector. As long as your existing payment history is positive and you make enough money to meet your monthly expenses, then you could very well qualify for a low-interest personal loan. And everyone gets an automatic 0.25% discount on their interest rate when they sign up for autopay. 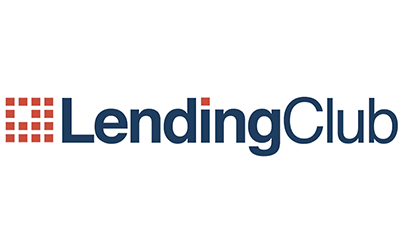 LendingClub is a P2P lender and one of the first in the country. The funding process is a bit slower than other online lenders because of how the loans are financed. Once your application is approved, you still have to get investors to back your loan with funds. They’ll review your profile and credit grading (created by LendingClub) to determine whether or not they want to invest in you. Don’t worry about whether or not you’re going to get picked; most investors automatically invest in a diverse portfolio of different graded loans without actually reviewing the specifics. And while LendingClub offers low credit loans, most borrowers maintain a credit score of 699. 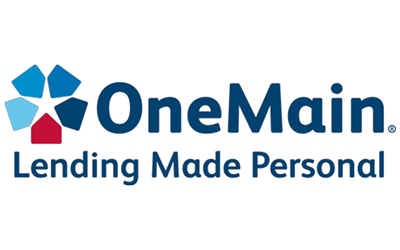 OneMain provides both secured and unsecured loans to borrowers. Their lending process is a bit unusual in that they require applicants who have been approved for a loan to meet a loan officer at a local branch. It’s not the most convenient way to get a loan these days, but five out of six Americans actually live within 25 miles of a OneMain office. And, believe it or not, reviewers found the process to be helpful, giving the lender an average of 4 out of 5 stars — so they must be doing something right. Once you meet with a loan officer and discuss your situation, it’s quite possible you’ll walk out with a check in your hand — yes, they’re that fast. They prefer to meet in person to get the specifics on why you need the loan and to make sure you understand the repayment terms, such as APR and term length. All in all, if you’ve got good credit, OneMain offers some stiff competition for fast, unsecured loans. 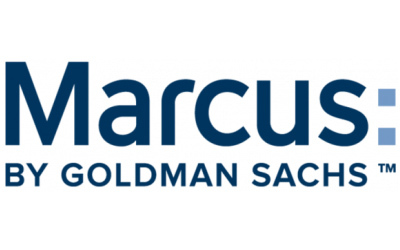 As the online lending arm of Goldman Sachs, Marcus strives to provide transparent personal loans. Unlike other lenders, you won’t find origination fees or any other type of upfront costs when you get your loan. The minimum credit score is 660 and you’ll likely need a debt to income ratio of around 40%. There are no set income requirements, either, but Marcus does analyze how much loan you can pay off within the term length. An interesting perk that comes with this personal loan is that you can change your payment due date three times throughout the course of the repayment term. So if your job changes and you get paid on different days, you can adjust your payment schedule to reflect that. Good credit borrowers could have a lot to appreciate with a personal loan from FreedomPlus. Interest rates start relatively low and you can also pick a loan term that meets your financial goals. But what really makes this lender standout is the ability to lower your APR through multiple qualifiers. There are three bonus ways to qualify for a lower APR. First, you can use a co-signer, assuming they have a higher credit score than you. That can automatically save you a few points. 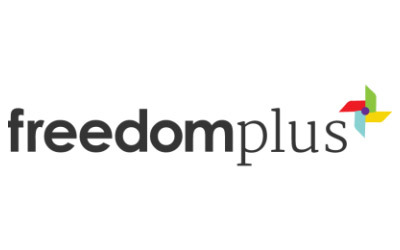 Next, for those using the loans funds to consolidate debt, you can have FreedomPlus directly pay your creditors in exchange for an APR discount. Finally, you can see some savings in interest if you have retirement savings that have accrued $40,000 or more. With a personal phone call as part of the application process, you can easily max out your savings with this online lender. When you start to review online personal loans, you need to know that there are a few different types of lenders out there. Understanding which type you’re working with helps to clarify much of the process, from how your personal loan is funded all the way to how you’ll repay it. Many traditional financial institutions are making their way into the online loan market as well. You might be familiar with some of the names; however, many banks with brick and mortar stores can’t offer interest rates that are as competitive as strictly online lenders because they have much higher expenses to cover. Some banks are better at this than others, so always be sure to shop around. Another burgeoning type of lender is the alternative lender. Many of these companies are startups seeking to fill a gap in the need for different loan requirements than what traditional banks offer. Several lenders have created their own algorithms to analyze financial and other types of data to determine what kind of loan terms borrowers qualify for. They typically don’t have branch locations so they’re able to keep their overhead costs low and focus on passing savings to borrowers in the form of low interest rates. Finally, one of the oldest types of online lender is the peer to peer or P2P lender. Originating in England and working its way to the U.S. in the early 2000s, P2P lending allows individual investors to fund personal loans and collect the interest as their return. While there is still a formal application process to go through, these lenders have opened the doors to greater access to credit for those with lower credit scores. And if you do have good credit, you get to take advantage of low rates and flexible repayment terms. It’s easy to get nervous about applying for any type of loan, and a personal loan is no exception. Luckily, online lenders make it easy for borrowers to get offers within minutes of entering a few pieces of basic information. There are typically two types of online applications: the pre-approval process and the formal application. Through the pre-approval process, many lenders allow you to check your loan offer without performing a hard check on your credit report. This lets you find out what kind of interest rates and monthly payments you can expect so you can compare offers without stacking up the inquiries on your pristine credit report. Once you find loan terms you approve of, it’s time to fill out the real application form. During this time, you’ll enter your personal and financial information to verify your ability to repay, and you’ll usually also get a hard pull on your credit report at this point. You’ll probably also have to upload copies of some important documents that help to verify your identity and financial information, such as your driver’s license and pay stubs. The exact requirements vary depending on each individual lender. Traditionally, lenders place the greatest importance on two factors: your credit history and your current financial ability to repay the loan. It’s pretty obvious that they’ll look at your credit report and score to determine how well you’ve paid your current and past obligations. But if you’re reading this with a good credit score, you most likely won’t have an issue with late payments crowding your credit report. Lenders also review your current outstanding debt, as well as your income. They compare the two using a formula called the debt to income ratio, or DTI. If you carry too much debt for the amount of money you earn each month, then you might not be viewed as very creditworthy. Even if you have good credit, it’s worth taking a look to see how your DTI stacks up. While those are historically the most important criteria for traditional lenders, remember that many online lenders began specifically to replace the old underwriting standards. Many place greater importance on other factors besides your credit score and debt, like your education, earning potential, and the types of debt you owe. Depending on your personal situation, you might be better suited with a lender that takes the bigger picture into account. If you already have good credit, you most likely want to make sure you keep it intact. What changes can you expect after taking out a personal loan? You may see a slight dip after you submit your application, but this typically only amounts to 5 to 10 points. The good news is that credit scoring models typically group together similar loan inquiries as long as they’re completed within a few weeks of each other. This allows you to price shop without worrying about a huge credit score drop. Once you have a personal loan funded, you may see another dip in your score because you’ll have a higher debt balance. The exception to this is if you’re consolidating credit card debt into a debt consolidation loan. Generally speaking, installment loans are viewed more favorably than revolving credit, so you might actually see an increase in this situation. Once you find the right lender, getting a personal loan can help you in many different ways. An extremely popular option these days is debt consolidation because personal loan rates are so much lower than credit card rates, especially if you have good credit. Other people use personal loans for home improvement, major life events like weddings, and vacations. Before you apply for any loan, make sure the lender offers personal loans for your intended use. Most want to know exactly what the funds will be used for before making the loan. And because that information is in your legal loan agreement, you’ll want to stick to your word. No loan decision should ever be made lightly, so make sure you do your research before reaching a conclusion. You’ll want to know that you can make your monthly payments even if something major comes up, like a job loss or medical emergency. Keep that good credit intact by keeping a padded monthly budget and a healthy rainy day fund. Once you’re confident that you’ve found the right loan, you’ll enjoy an ever-strengthening credit history by maintaining steady, on-time payments each and every month. And that, along with funding a significant purchase or life event, can feel like a great accomplishment.